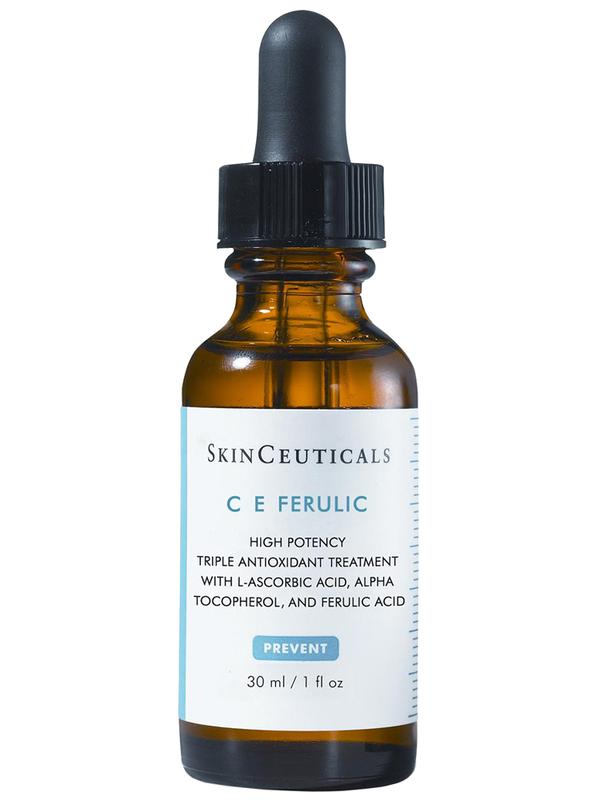 SkinCeuticals Prevent C E Ferulic 30ml is a triple antioxidant high potency treatment with 15% L-Ascorbic Acid, 1% alpha-tocopherol and 0.5% ferulic acid. 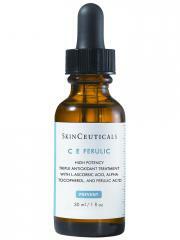 Unique combination of antioxidant such as vitamins C and E and ferulic acid, this serum brings an optimal antioxidant efficiency to give a younger, smoother, and firmer aspect to the skin. It also protects the skin from external aggressions to prevent signs of premature aging, reducing the aspect of wrinkles, fine lines and dark spots, while stimulating the collagen production. Rapidly absorbed, the serum is efficient during 72H. Fragrance-free. Once in the morning, after cleansing, place 4-5 drops in palm of hand. Using fingertips, apply to dry face, neck, décolleté. Caution: The sale of SkinCeuticals Laboratory products is limited to the European Economic Area and to 6 units per day and by customer. I use this as preventative skincare. I would recommend this to anyone. I use this product as a serum, and would recommend it to anyone concerned about wrinkles. After only one week of use, i can see some improvements already (tighter skin, less fine lines). On the downside, i find the price excessive. Love this product and have been using it for years! Keeps my skin clear, supple and glowing. Best of the best today's market..Absolutely stunning results from the first use, and it keeps getting better. It's pricey but worth every penny. Will never be without it.